Over the last few years, bankruptcy in Canada has become an effective financial solution for many Canadians facing mountains of debt. The ability to combine all debts and make one manageable monthly payment has led many to opt for this rather than continuing to struggle. That being said, many often deal with the concern that an undischarged bankruptcy loan is next to impossible to obtain – making financial obligations sometimes more difficult. This week we want to work on dispelling the myth of the impossible undischarged bankruptcy loan. These loans do in fact exist – and are often the best way to rebuild credit. It is true – once you declare bankruptcy, your credit will take a hit. Often securing funding becomes more difficult, but it was likely already less than stellar before you declared, so this may not be an issue. And yes, bankruptcy is on your credit report for 7 years, but after a couple of years of strong rebuilding behaviour, some lenders will even offer mortgage financing to undischarged bankrupts. You just have to be sure to work on that rebuilding. The first step: as soon as you file for bankruptcy you should start trying to rebuild credit – even when undischarged. Positive credit behaviour is what lenders look for, and as an undischarged bankrupt this is really important. This means paying monthly payments on time, every month. 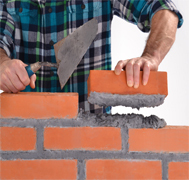 Rebuilding your credit also means not trying to continually obtain credit. Applying left, right and centre for credit cards makes you look like a credit seeker – never a good think in a lender’s eyes. Try to keep those applications (and thus the inquiries to your report) to a minimum. Is a payday loan the way to go? They seem easy enough to get, right? Sure they are easy to get – but for a reason. The fees are astronomical, and worse, they don’t even report to your credit report. As far rebuilding credit, these are a waste of your time (and money!). Ok, so what other options do you have? If you believe that obtaining an undischarged bankruptcy loan is a myth, then you may believe there are few. As mentioned however, that is simply not true, and obtaining a personal loan is a great way to begin rebuilding your credit. Getting a personal loan, one with fixed payment terms and one that reports to your credit report, is a great way to show that you are committed to fixing your credit. At Prudent Financial, we can help. We have years of experience with lending both discharged and undischarged bankruptcy loans, as well as loans to individuals in consumer proposals. If you want to rebuild your credit, start with a call to us! 1-888-852-7647.